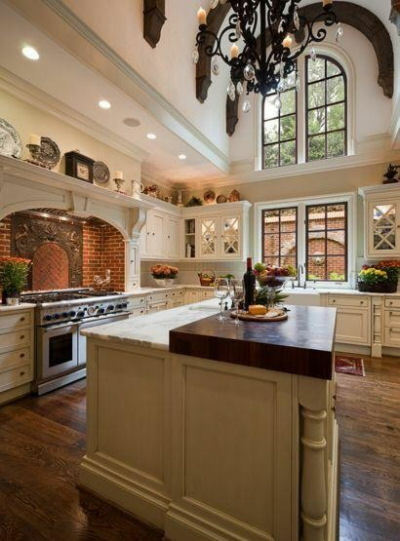 These Dream Kitchens are a Cook’s idea of Heaven. 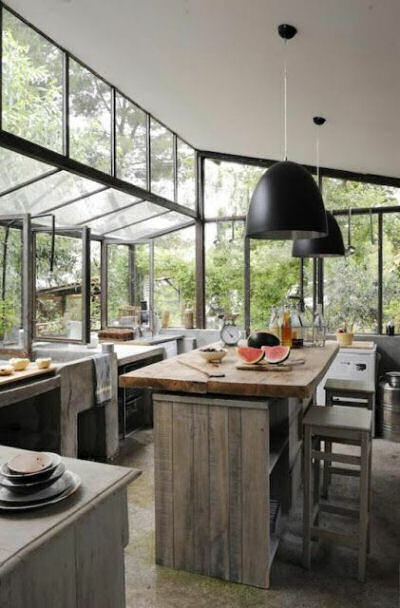 There is nothing like a well equipped kitchen to make your cooking chores much less of a chore and more a place of peace and contentment. 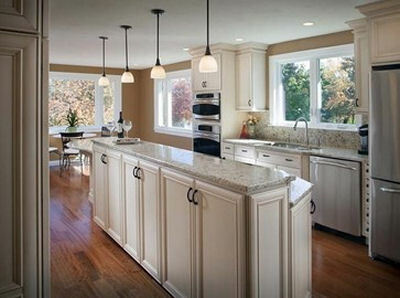 it not only gives you a wonderful place to prepare meals, it also gives you a feeling of serenity when you are in it. 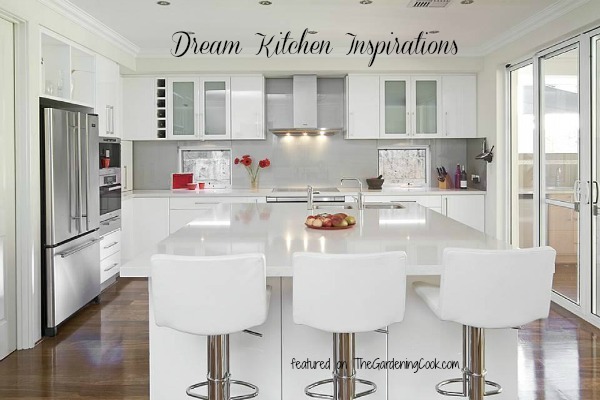 To me a dream kitchen has a few essential features: a great island, lots of storage space (set out in a pleasing design) and wonderful appliances. 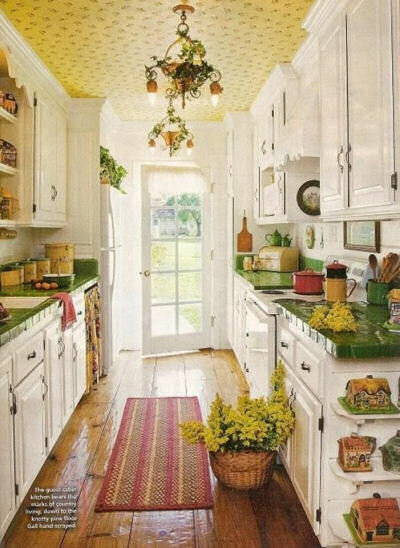 Unfortunately, that is not the kitchen that I have (right now), but a girl can dream can’t she? 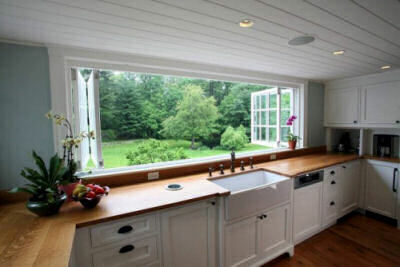 I could do with some creative storage too, such as a rolling kitchen hideaway. 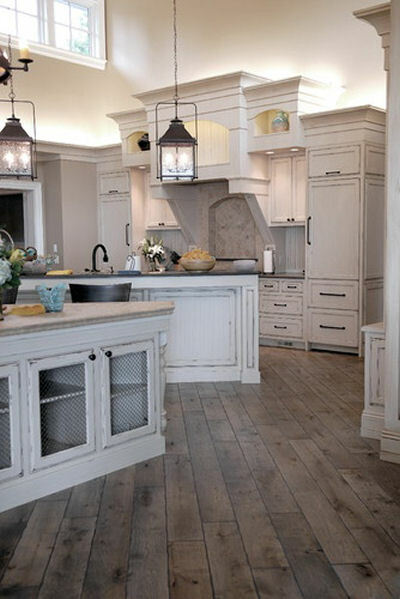 These lovely kitchens are my idea of a dream kitchen. You can click on any of them to go directly to the source. 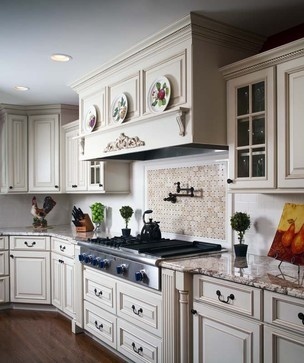 Jan Gleysteen Design with great white and wood contrast. 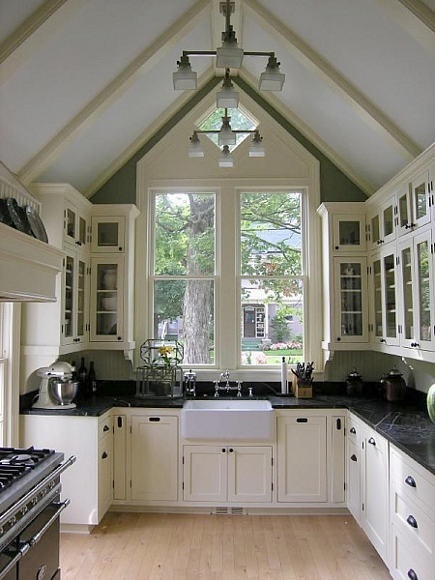 Three guesses as to what I love about this kitchen. You are right! The windows that let the outdoors in.